Count on our workers to bring you the most reliable man and van services in Wirral. We have a wide range of removal services and even a few additional ones. The more help you get from us the lower the price will go. End of tenancy cleaning goes pretty well with a full scale domestic removal. You can also get rubbish removal cheaply from us. Our overall price range is pretty affordable as we try to give you the best value for your money. Our vans are perfectly dependable and you can use us not only for local relocations but for long distance removals as well. While this job requires advanced planning and preparation, we have the sufficient manpower, equipment and vehicles to fulfil it masterfully. Our job is to assign a manager to your removal project and you can be in touch with them 24/7. We will customise the relocation according to your requirements. We will also take into account the number of the objects you are having transported as well as their volume. This way we will figure out what sort of vans will be needed for your long distance removal. Luton vans are typically the vehicles of choice as they can accommodate more things and also have tail lifts which are much needed for loading and unloading of heavy objects. Call for a free removal advice today. Wirral is a peninsula in northwest England and it is surrounded by the River Dee, the River Mersey, the Irish Sea and Wales. The area is bounded by amazing open spaces where a lot of people love to take a break. Some of the places of interest in the region include Bidston Hill, the Victorian Pleasure Gardens and Ness Botanical Gardens. For those of you who enjoy architecture and art here are Hamilton Square, the Lady Lever Art Gallery and the Williamson Art Gallery. Moving house is one of those inevitable annoyances in life. No matter what lifestyle you have statistically you’re likely to change homes at least twice in your adult life. So as a local resident you’re bound to call a man and van in Wirral sooner or later. And when it comes to a businesses things are even more dynamic. Almost all businesses that have existed for more than two years have had to real with a business removal. The longer a company exists the more of times changes offices. Being on the market longer generally means a more successful business which means more employees which means need of more space and so on. So you either live in or your business is located in the borough. You need to move to a new location and are looking for a company that provides moving services and can sent you a man with van in Wirral. You found the right people. Our company has been operating in the area for more than two years proving moving services in Wirral. We are among the leaders of local removal services and have a vast experience in the field of home and commercial moving as well as various other removal services. We handle moving from the beginning to the end – from packaging (which is a separate service) through transportation to delivery. You can fully trust our skilled movers with your items. Don’t just hire a van hire Wirral’s best movers with it. Our services are the best because our staff is the best and each or our movers is a top level professional. In proving our services we follow strict regulations and procedures during removals in Wirral. We follow both EU and UK legislation and safety guidelines from international moving company organizations. Don’t worry – we’re not the type of removal company that likes to cut corners. Our prices for hiring man and van in Wirral might be low but it is not at the expense of service quality. Call us and book a services. We can send a man with van in Wirral whenever is convenient for you. Don’t worry about it interfering with the rest of your “to do” list. You determine when you want the moving to happen and we’ll make sure a team of movers will be at the address at the specified time and day. We’re even prepared to send another van on the fly if it turns out one is not enough – we have a wide range vans at our disposal.. Whatever the load it doesn’t matter. Private and business customers looking to secure an affordable and reliable removal or delivery service can turn to Man with Van Liverpool – we operate locally in all boroughs and provide professional removal and delivery services of all shapes and sizes. We organise and carry out all stages of every job so people save time, money and resources. We deal effectively with home and office removals, branch/establishment relocations, commercial goods delivery, fixed schedule business to business deliveries, removal of single/high value items etc. in addition, we provide property clearances, storage solutions, waste removal, packing, cleaning services etc. Wirral is metropolitan borough, incorporated in the Merseyside county, North West England. It’s one of the most populous boroughs in the country with a population of over 310 thousand people. Like all boroughs that are part of Merseyside county it was formed in 1974 with the Local Government Act 1972. The borough is named after Wirral peninsula. Wirral peninsula is bound by the Irish Sea to the North and by the rivers Mersey and Dee to the East and the West respectively. The name Wirral come from the Old English words wir – myrtle tree and heal – angle or corner. It is likely the area was once overgrown with bog myrtle plant, which however cannot be found in the region today. 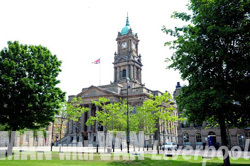 Local landmarks include Hamilton Square – Birkenhead’s town square and the model village of Port Sunlight, home to the Lady Lever Art Gallery. Birkenhead’s also draws tourists with Williamson Art Gallery. Another major local tourist attraction is the old port of Parkgate. 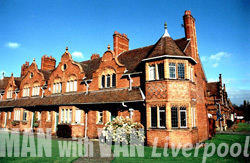 Many Wirral villages are known for their distinctive red sandstone walls and buildings. Wirral is a Merseyside borough, occupying about hundred and sixty square kilometres of the Wirral Peninsula (its northern tip). Now how to about hundred and twenty thousand people, the borough was incorporated in nineteen seventy four, by merging the former county boroughs of Wallasey and Birkenhead.